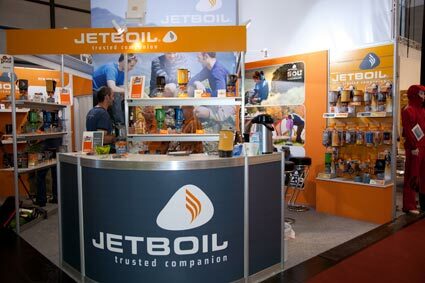 Jetboil’s Sumo Titanium cooking system won an OutDoor Industry Award at this year’s OutDoor Friedrichshafen show and was marked for its degree of innovation, design quality, workmanship, functionality and trendsetting character. The Sumo cooking system will also be available in a more affordable aluminium material as well. The Sumo range features patented Jetboil Thermo-Regulate and FluxRing technology that maintains consistent cooking heat to around -6 degrees Celsius. As the boiling time is reduced and heating efficiency doubled, fuel consumption is lowered as well. 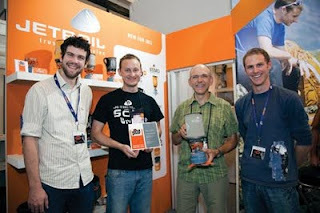 Jetboil’s Sol Titanium cooking system received the Editor’s Choice award for summer 2011 from Outdoor magazine and the Outdoor award at ispo. The true 4-season 0.8L canister cooking system weighs 8.5 ounces, works with a push-button igniter and comes with a drink-through lid with pour sprout and strainer. Jetboil is locally distributed by Ram Mountaineering.